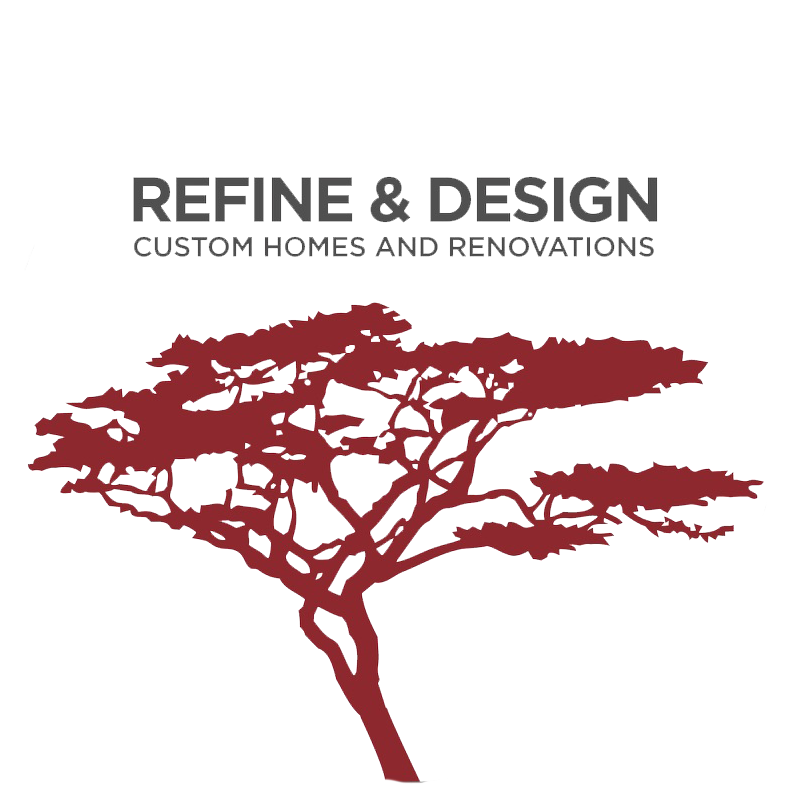 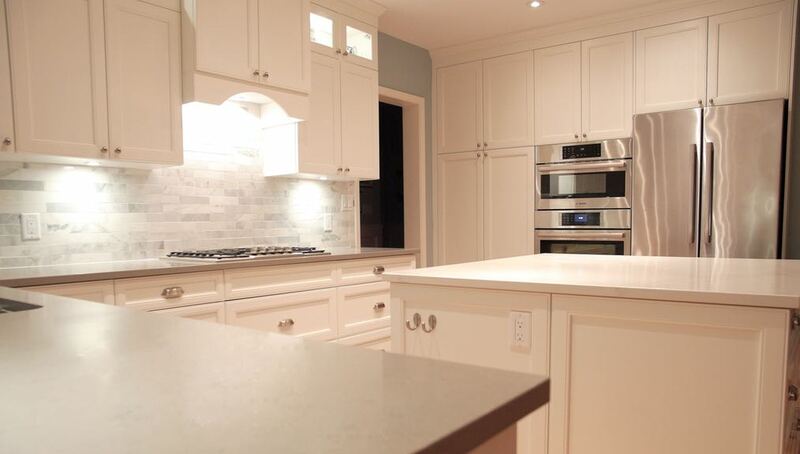 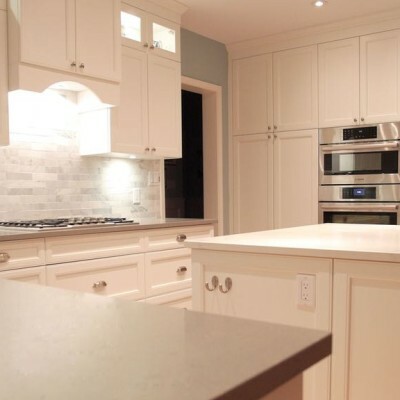 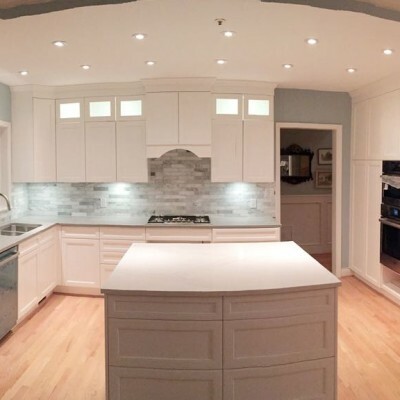 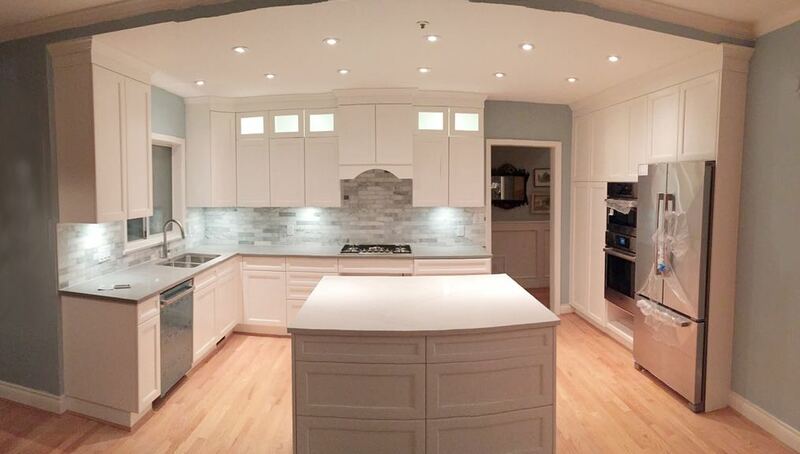 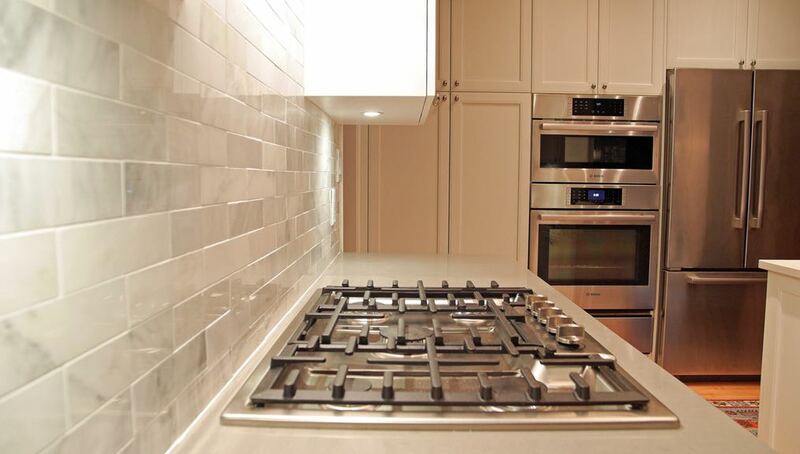 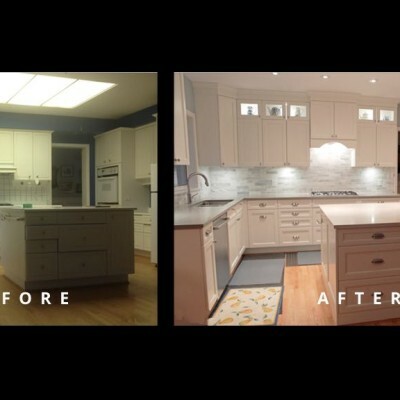 There’s nothing like a kitchen remodel to bring the life back into a home. 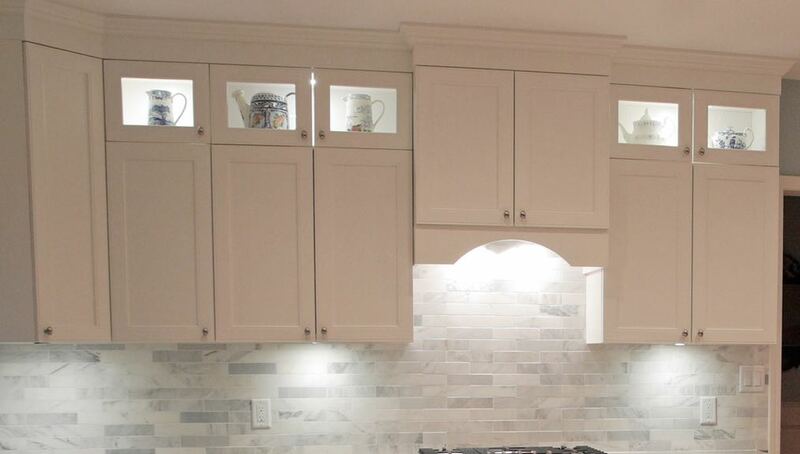 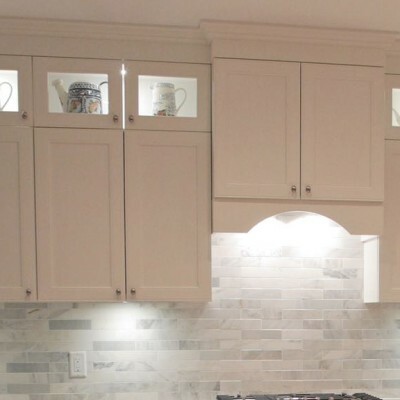 Raising the cabinets and crown molding to the ceiling instantly made the space seem taller and gave us room to add five internally lit display boxes for the client’s teapots and ceramic steins. 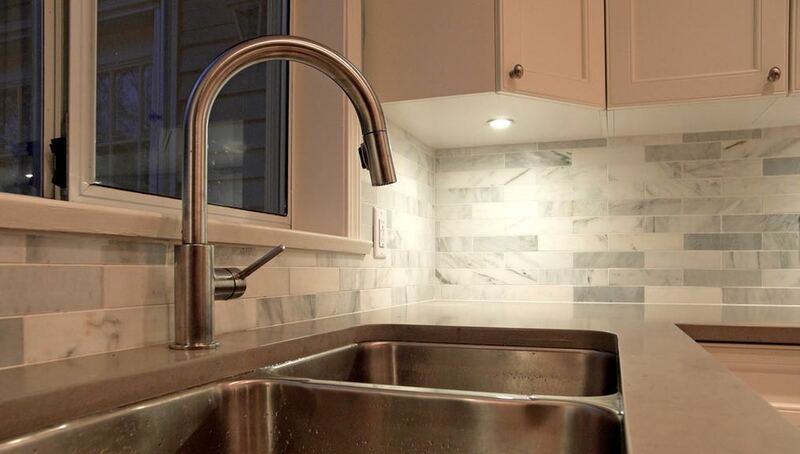 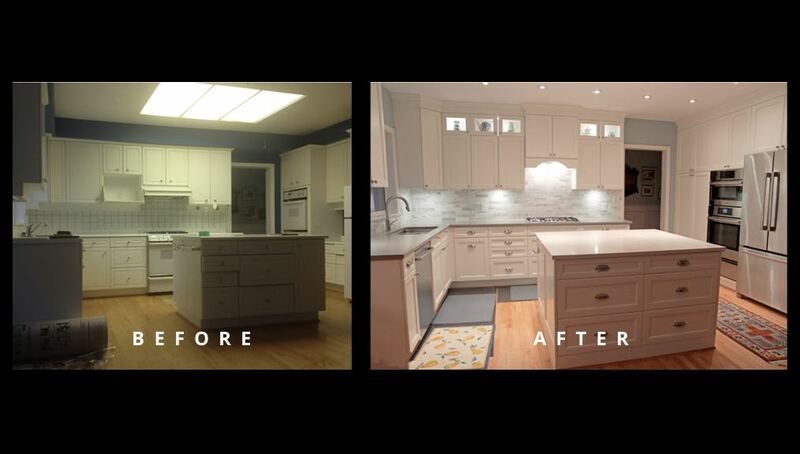 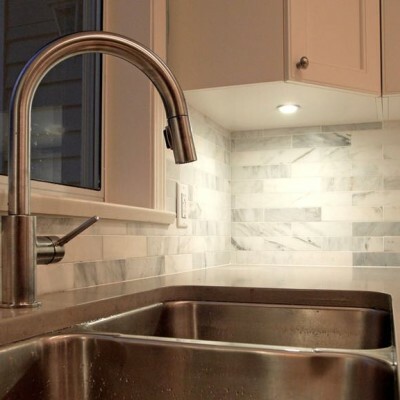 The new pot lights offer a better quality of light than the previous fluorescents and plenty of undercounter lighting was added to highlight the new quartz countertop and Carrara marble subway-tile backsplash. 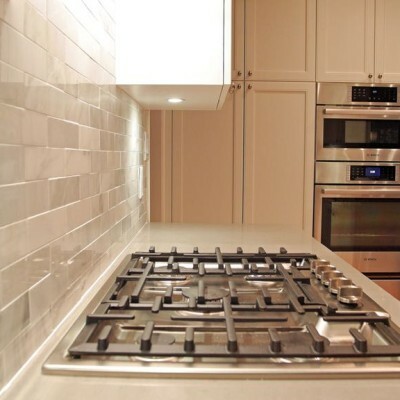 The stainless steel appliances and sink are new and harmonize well with the pharmacy style pulls on the white Shaker style cabinets.